The singular aim of website owners and bloggers is to increase their rankings in the search engine listings. In this context, there have developed many markers and metrics that can be improved to find a place in the search lists. However, the most prominent among these in the SEO context is the Domain Authority or DA. By definition DA is a score that ranges between 0 and 100 and is indicative of the ability of how well a website or a blog would rank on Google or other search engine listings. Developed by Moz, this score has been designed in such a way that a website with a higher score ranks higher in the search engine listings. Plainly put, a higher DA score for the website ups the chances of it appearing higher up in the search engine listings. This naturally translates to higher traffic to the website and eventually more chances of conversion. If the DA score is low, it may happen that the website ranks lower than one that has less engaging or low quality content. DA is calculated taking into consideration over 40 variables. Some of them are social signals, quality of content, friendliness towards search engines, MozTrust and MozRank among others. It is important to digest the fact the DA score cannot be increased overnight. However, it is possible to increase the DA score of your website. Though the methods may not be very easy, they are not very tough either. The main ingredients that are required to hike up your DA score is the ability to wait for the DA score to lift up in score, a good amount of high-rated content and, primarily, a well-thought-of strategy. Generally, getting your DA score up from 15 to 30 or 35 is an easy job. However, it is much steeper to climb the hill if you are looking at scores above 50. A DA score of 40 is considered ‘Average’, between 50 and 60 it is ‘Good’, and above 60 is ‘Excellent’. Given below are some basic pointers on how to achieve a higher DA score. A good DA score can be got by publishing (as a rule) good quality content. However, writing unique and high-quality content for a website is always part a clear strategy that has been chalked out. To make content more appealing, it is a good idea to use photographs, info graphics and videos. Word lengths of 800 to 1000 words un-copied content written in a professional manner are recommended. High quality content if published regularly also ensures that authority sites in that specific niche will link to the website. This is a sure method to improve the rankings. In this context, it is important to check regularly if your website leads to any bad links. In such a case these links have to be removed at once in order not to hurt the DA score. If checking each link in the website is a tough job, there is software available that will help to check the status of each link. 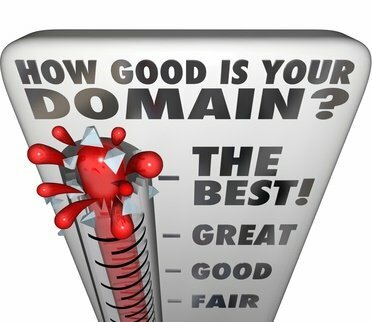 Pick a domain name so that it is relevant to the content of your website or blog. An easy to remember name that is simple has its advantages. This makes it easy for visitors to come back to your site. It is also crucial to ensure that the domain name is not nearing its expiry date soon enough. Keep the domain renewed for at least three years. Use a font that is easy to read. Use bold and italicized font at the necessary places. Include variations of all the relevant keywords throughout the text. With most people on the move most of the time, it is important to have a mobile version of your website. Many users on the go will not be interested if your website is not mobile compatible. A mobile friendly version will help to improve the DA score of the website. Visitors to your website should be able to find their way to the website’s homepage wherever they may be. If they have dug into your different blog posts one after the other, they should be able to find their way to the homepage using the internal links. Internal links helps to promote further reading options to the website visitors. Presence of internal links also makes it easier for search engines to index a website. Publishing niche-specific content of high quality is one way of engaging your website followers. It also pays to engage with your niche-specific customers on social media. These actions will help to boost your reputation as an authority within your community. This is helpful in two ways: it will help to increase the traffic, i.e., the number of visitors to your website and also establish your position as an authority in the subject which will help to win external links to your website. Writing guest blogs for other websites in the same niche will also help to strengthen the identity of your brand. When the web pages load slowly, the bounce rate will be high and there will be less traffic to your website. This will not help to improve your web DA score. The speed of loading the website pages can be checked with relevant software and corrective measures taken to improve user experience and, of course, the DA score. Social signals are an important factor while considering website rankings. It is therefore almost compulsory that your website content has to be promoted via social media in order to generate the social signals. It is recommended that links to your website content be published in the different social media pages. With more and more followers choosing to share, comment or like your content, it is imperative that your website DA score will improve.